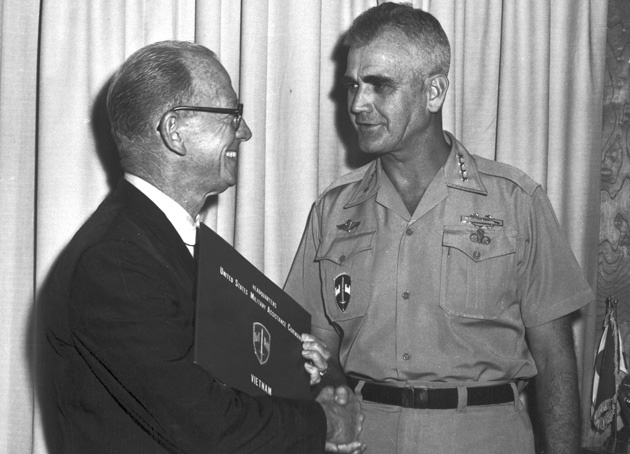 ﻿ Red Barber and General William Westmoreland in Vietnam. Red Barber and General William Westmoreland in Vietnam. Scanned. Copy neg. Red Barber and General William Westmoreland in Vietnam. Photograph 7994 from the University Archives Photograph Collection.